Three-day ticket for 4 banked areas B, D, E, G.
SILVER ticket entitles you to enter the four outer banked areas B, D, E and G, between which you can freely browse. Not allowed to access pasage through tunnels under the track (neither the Tunnel Start nor the Tunnel Schwantz). Each banked area has its own facilities including a refreshment stalls and promotional items. Visitors coming on motorcycles can use parking directly at the banked area D. Big TV screens are available in front of areas D and G.
To enter the circuit use gates: B, D, E and G. You can not use a main gate to enter. 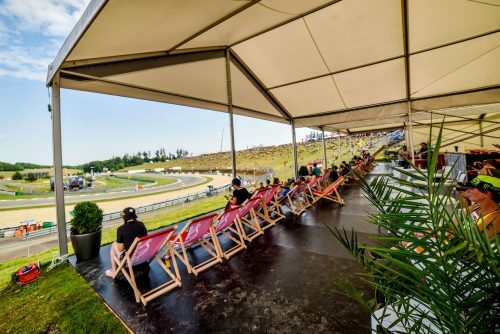 Unlimited three-day ticket valid for all natural banked areas B, C, D, E, F and G.
With the GOLD ticket you can enter the compound through any gate and any transit route including the START and SCHWANTZ tunnels. 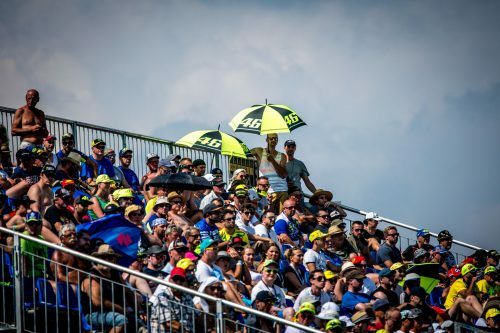 Visit the retail zone by the main gate to buy a merchandising of your favourite team or just go and enjoy the view from the most popular banked area C! 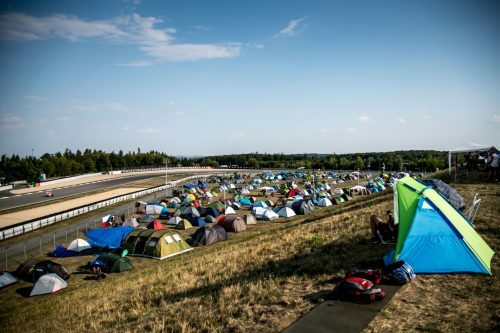 With GOLD ticket you can use all the parking around the Masaryk Circuit. 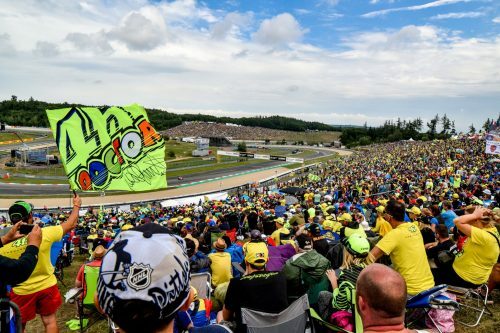 There are big screens TV placed in front of banked areas C, D, F and G.
To enter the circuit use gates: Main entrance, entrance under a bridge or gates B, D, E and G.
Three-day ticket for children born between 2005 – 2012 valid for all banked areas B, C, D, E, F and G.
Ticket JUNIOR is a children’s version of the ticket GOLD. Its holder can use transit route including the START and SCHWANTZ tunnels and visit the shopping zone by the main gate. Children must be accompanied by an adult with a relevant ticket. You can use all gateways to enter.